The Bench has declared S.60(1) of Bihar State Universities Act, 1976 and, the proviso to Para 1 of the statute No. 32 of the University framed under the above Act, as unconstitutional, to the extent it applies to a minority educational institution, being violative of Articles 30(1) of the Constitution of India. 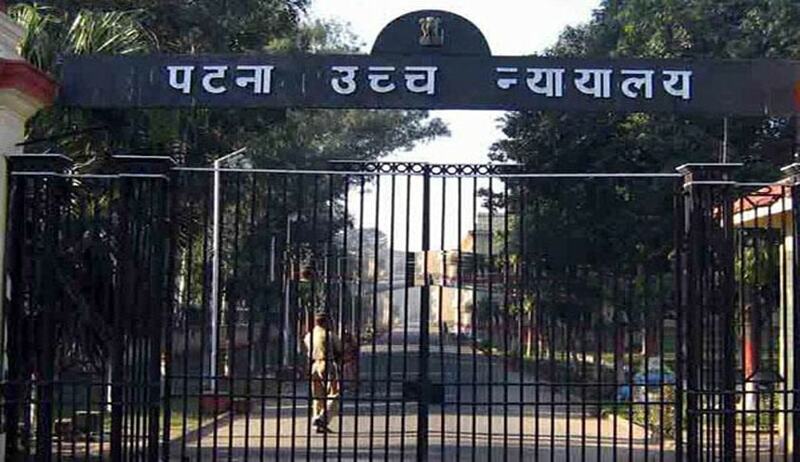 A Division Bench of Patna High Court has declared Section 60(1) of the Bihar State Universities Act, 1976, and the proviso to Para 1 of the statute No. 32 of the University framed under the above Act as unconstitutional, to the extent it applies to a minority educational institution, being violative of Article 30(1) of the Constitution. The bench comprising Chief Justice Ansari and Justice Anjana Mishra was hearing a petition filed by Milli Trust. The trust, founded and governed by a minority community, established an educational institution namely Amir Hassan Sukur Ahmad Mahavidyalaya. The Government of Bihar, vide letter dated 27.07.1995, declared the institution as a minority institution and granted permission to impart education in various subjects. The Bihar State Universities Act, 1976, in Clause (5) of Section 60, provides that the governing body or management committee of a college, established and administered by a minority community, shall be constituted in accordance with the provisions of the statutes of the university, framed under the provisions of the Act. By its communication dated 27.11.2015, the university informed the college to implement the provisions of the statutes of the university, so far as composition of the governing body was concerned. The secretary of the college submitted a reply stating that the Supreme Court had held that under Article 30(1) of the Constitution, the right to establish and administer minority institution comprised the right to constitute a governing body for such institution. The vice-chancellor of the university, however, constituted five-member committee of the college exercising power under the proviso of the statutes regarding Governing Body of the Bihar State University Act, 1976. The petitioner sought a declaration, to declare unconstitutional, provision contained in statutes section (1) 2nd proviso to para 1 of the statute of the University framed under the Act regarding the governing body, to the extent it applies to a minority educational institution. (1) What is the nature of the right of a minority educational institution to constitute a governing body/a management council, to govern day-to-day matters of the educational institution and to take various decisions with regard to governance of such educational institution? (2) Whether the mandatory imposition upon the management of the minority college of the petitioner, to constitute the governing body as provided under the Bihar State Universities Act, 1976, amounted to violation of fundamental right to constitute a governing body for the minority college under Article 30(1) of the Constitution? Relying on the constitution bench judgment in the TMA Foundation case, the bench held that the fundamental right under Article 30(1) can be regulated for two reasons. Firstly, to maintain and promote efficiency for imparting education, and secondly, to check mala fide exercise of fundamental right under Article 30(1) of the Constitution. The bench has further clarified that even though the fundamental right under Article 30(1) of the Constitution, in entirety is not absolute, certain facets and components of the fundamental right under Article 30 of the Constitution, are irreducible and ossified; right to constitute a governing body and select members of their choice for such body, is one such right of minorities under Article 30(1) of the Constitution. At the same time, it is the duty of the state to check mal-administration in such educational institutions and regulate the functioning of the governing bodies in accordance with law, but not composition and choice of the members of such governing body. “So far as the case of the petitioner is concerned, we are of the opinion that if the impugned statutes of the university are enforced upon the minority college, the members of the minority community would be deprived of their right to chose the governing body, which is conferred with the deciding power with respect to management and the affairs of the minority institution. The impugned statutes are in nature of a delegated legislation. It is a fundamental principle that what cannot be done directly cannot be done indirectly and this principle has been adopted by the Constitution Bench in Ahmadabad St. Xavier‟s case (supra), and affirmed by the decision of the Supreme Court in T.M.A. Pai Foundation case (supra), to the effect that while imposing conditions for grating affiliation to a minority educational institution, no condition can be imposed upon a minority educational institution, which would indirectly result in abrogating the fundamental right of the minority under Article 30(1) of the Constitution. The bench further clarified that this does not mean that all the facets of the fundamental right under Article 30(1) of the Constitution were absolute or no reasonable limitations can be imposed on other facets of Article 30(1) of the Constitution. It concluded that it has no option but to hold that Section 60(1) of the Act and, the proviso to Para 1 of the statute No. 32 of the University framed under the Bihar State Universities Act, 1976 to the extent it applies to a minority educational institution being violative of Articles 30(1) of the Constitution and are thus, held ultra vires and thus, are null and void, as being opposed to Article 13(2) as well as Article 30 of the Constitution.